While there is a time commitment, the benefits you receive from being an active member are overwhelming; from leadership opportunities, academic support and lifelong friends to name a few! While some events are optional, we do have mandatory weekly meetings, and our Founders Day dinner (Fall Semester), Earth Day (Spring Semester) and Sisterhood retreats are mandatory as well but always super fun! 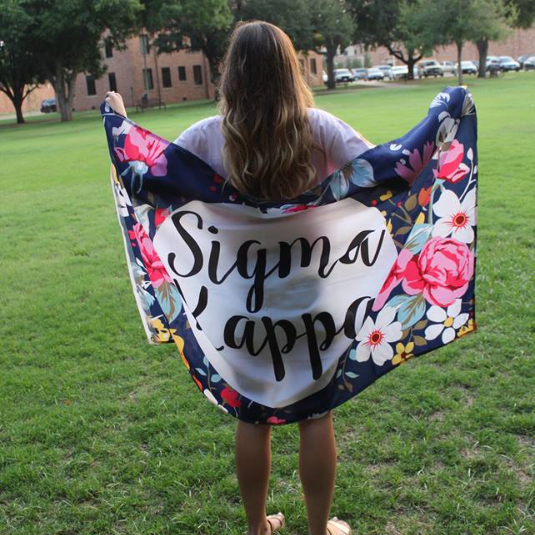 Academics are highly important to Sigma Kappa's, even if it isn't listed as our of our values. Members must do weekly study hours which is based off your current GPA. We do require that each member maintain a 2.5 overall GPA to remain in good standing. If a member happens to fall below that for a semester, they will be required to meet with the VP of Scholarship to decide how to raise their GPA. How much are dues? Are there dues? Yes, there are dues. These can be found under the recruitment: membership dues tab. While your first semester is the most expensive, most are just one time fees. Also you can enter into a payment plan by speaking with the VP of Finance if needed. Also don't forget to check out our Facebook, Instagram and Twitter!